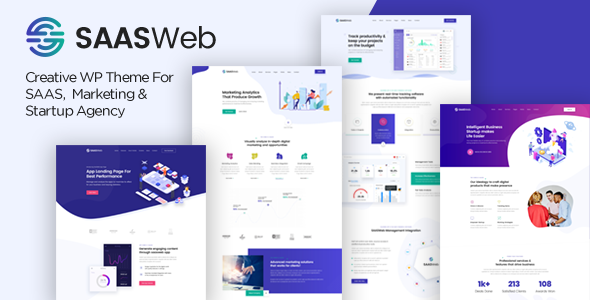 Saasweb is a powerful Easy to Use, Highly Customzable SAAS /Digital Agency / Multi-Purpose Template , built with latest Bootstrap.The template comes with a lot of layouts for blog pages, services, landing pages and others. This template is a highly suitable template for companies that offer SEO services as well as other internet marketing related services. It has purpose oriented design, responsive layout and special features like 5 different landing pages, blog layouts, gallleries, services and pricing tables. Saasweb can also be used for multi-purposes. The Saasweb template coded with beautiful and clean codes! Some powerful HTML files 100% valid W3 web standards.